Sponsor two students from the YouthWorks summer jobs program to work at Bon Secours Hospital. Year One Progress: Sponsored two YouthWorks students in 2016 and continued in 2017. Year Two Progress: Sponored two students in Summer 2017. We tried to place with Bon Secours, but they were overbooked for students, so we asked the YouthWorks program to randomly place two students and we would pay the placement cost. Commit to providing up to $25,000 in year one and $50,000 in year two in pro bono business advice and mentoring to Baltimore area entrepreneurs and small nonprofit organizations. Year One Progress: This goal is still a work in progress, with RSM seeking to identify organizations that could use their services. Year Two Progress: Continuing conversations with the new CFO and CEO of Maryland Food Bank to discuss how RSM can assist them. RSM is also a new corporate sponsor for Cristo Rey and provides a student’s annual tuition and internship placement. RSM US LLP is a leading provider of audit, tax, and consulting services. We guide our clients through business challenges by understanding their needs, bringing together the right team, and providing solutions. With 8,000 professionals and associates in 80 cities nationwide and access to more than 38,000 people in 120 countries, we can meet your needs wherever in the world you do business. At RSM, we take a special approach to giving back to the communities where we work and live. We are focused on operating in a socially and environmentally responsible manner that supports our core values and furthers our strategic priorities. In the Baltimore area, our professionals support many not-for-profit organizations by contributing hours to volunteer activities and raising money for local charities through various charitable endeavors. We are proud to have received the Baltimore Mayor’s Business Recognition Award in December 2015 for demonstrating outstanding community service. RSM helps BUILD in the community by offering our staff many volunteer opportunities by way of an annual Volunteer Day, where staff are given paid hours to volunteer in the community to help those in need. This is supported through our “Dollars for Doers” program, which is managed by the RSM Foundation, which focuses on supporting nonprofit organizations centered around children, families and education. Our partners participate in organizations such as Higher Achievement, a mentoring program designed to mentor at-risk inner city middle school children and Bon Secours Hospital in West Baltimore where one of our partners is the current board chair, offering his leadership and advice to the organization. RSM has strong roots in cultural diversity, which is cemented by our Culture, Diversity and Inclusion initiative, offering affinity groups for employees of all walks of life to be heard and supported. RSM continues to HIRE in the community through several programs, including the Cristo Rey Student Sponsorship program, which we began supporting in the fall of 2015. Through this program, a student from the school works at our Baltimore location in exchange for tuition. Through our internship program, we bring in students from area colleges to give them opportunities to learn the public accounting profession. 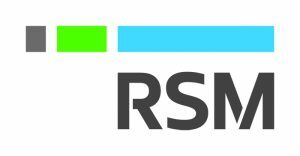 A high percentage of our interns receive offers of full-time employment by RSM after they graduate. Additionally, we participate in campus recruiting, where we continue to take advantage of recruiting excellent candidates located within Baltimore City. RSM’s commitment to BUY in the community is demonstrated with our move to our current 38,000-square-foot office space in Harbor East, making us one of the only firms to relocate from outside the city in recent memory. Five plus years later, we continue our commitment to remain in Baltimore City, and support the community. We further our commitment by hosting regional leadership meetings in Baltimore on a periodic basis, bringing together leaders from the southeast region.